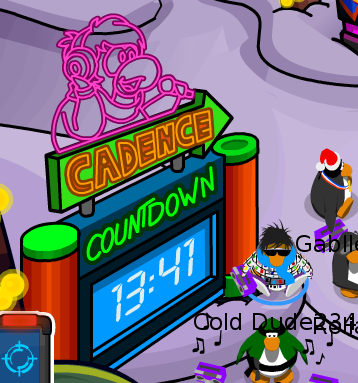 Cold Dude Computers: Cadence Stage Countdown! Recently the Ultimate Jam was released. In the Snow Forts there is a Cadence Countdown which counts down to Cadence's performance in the Epic Show. 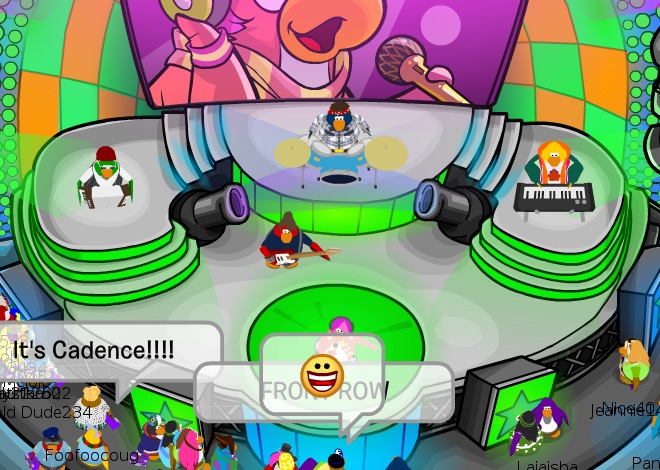 If you go to the Epic Show when she is Due to preform you will see that the PB are there and playing their instruments! 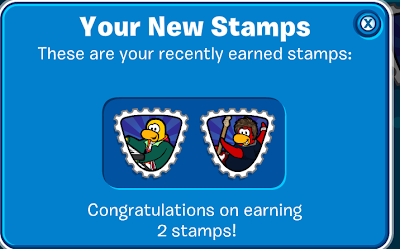 What makes it even more awesome is that you earn stamps for any of them that you haven't met! 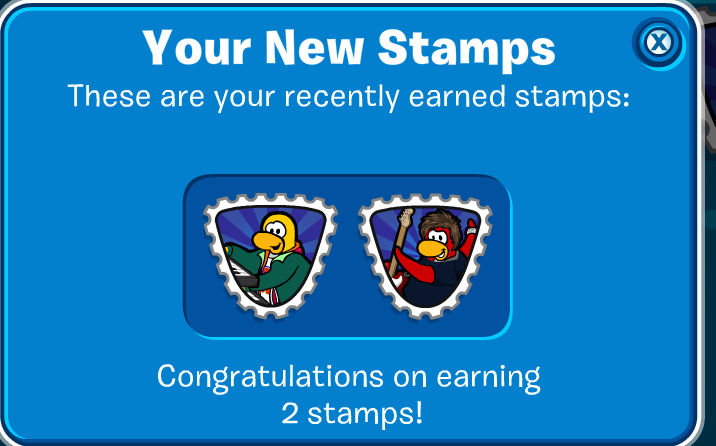 So that would be Stompin' Bob and Franky for me. I snapped a quick picture before they finished. She preforms ever 20 minutes inside of the Epic Show and stays there for about a minute each time. The room fills up quickly so get yourself in there at least 5 minutes before she starts. Have you met all the PB? Leave a comment and let us know!